Why do we love CHOC so much? They saved the life of our youngest son, Tyler. When Tyler was just a few weeks old, he caught RSV. If you don't know about RSV, it can be deadly especially for premature babies like Tyler. After over a week in the hospital, his health was never the same. He had severe scaring on his lungs, and his body stopped producing white blood cells (what your body needs to fight infections). Our little guy had to live in a bubble for almost a year of his life to help prevent him from getting infections. Without the doctors at CHOC, Tyler would not be here today. They were able to help him pull through his RSV, and were able to get him on blood replacement therapy for many years to help his body learn how to start making white blood cells again. We love supporting CHOC every chance we get. The doctors and the nurses of the hematology department have become a part of our family. They still checkup on Tyler, and keep a close monitor on his health. 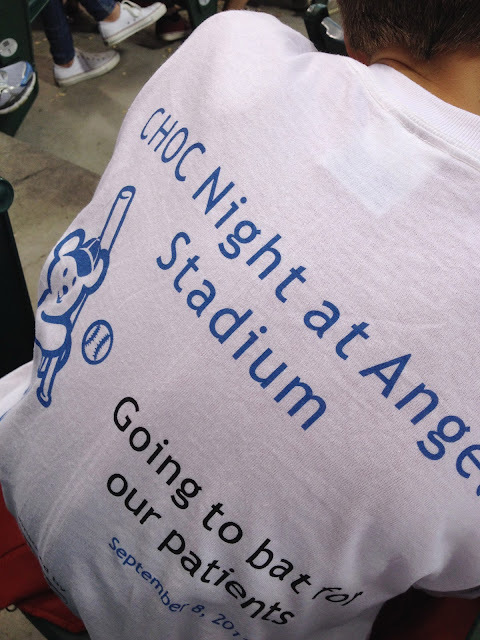 We were honored to attend one of the last Angel's games of the season for CHOC night. 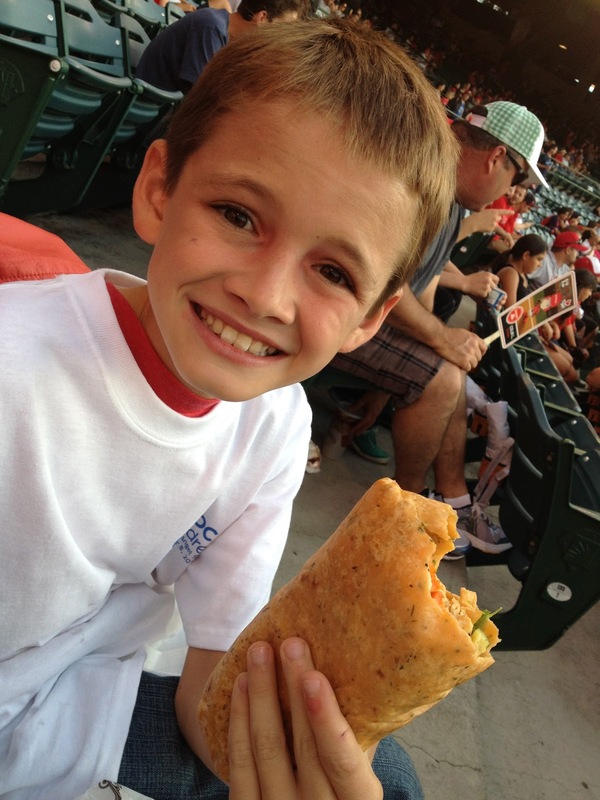 The kids were able to enjoy watching their favorite baseball team play while getting to see some of their favorite CHOC doctors. For kids that have had long hospitalizations and medical care, when they get an opportunity to interact with their doctors outside of the hospital it truly helps them to cope with their illnesses. They feel like the doctors a part of their family, more than just someone who is poking them with needles. When a family has a sick child, it affects the entire family (including the other children living in the house). Without the support of our other children, Ella and Andrew, we don't know how we would have made it through Tyler's health issues. We had a fun evening at the ball park. We were able to celebrate Tyler's better health together as a family. The kids were able to keep entertained during the game with fun CHOC puzzles. This has now become one of my kids favorite toys. We are so thankful to CHOC Children's and their amazing doctors! 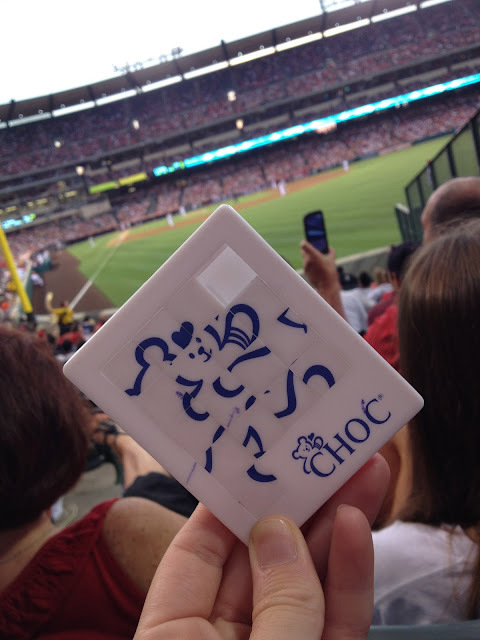 Disclosure: We were provided with ticket to the game along with other CHOC families. All our thoughts and opinions are of our own.